For 40 years, two small spacecraft launched in 1977 have sped past the planets in our solar system and beyond, carrying humanity’s messages etched on gold disks. Their journey into the depths of interstellar space will continue indefinitely. 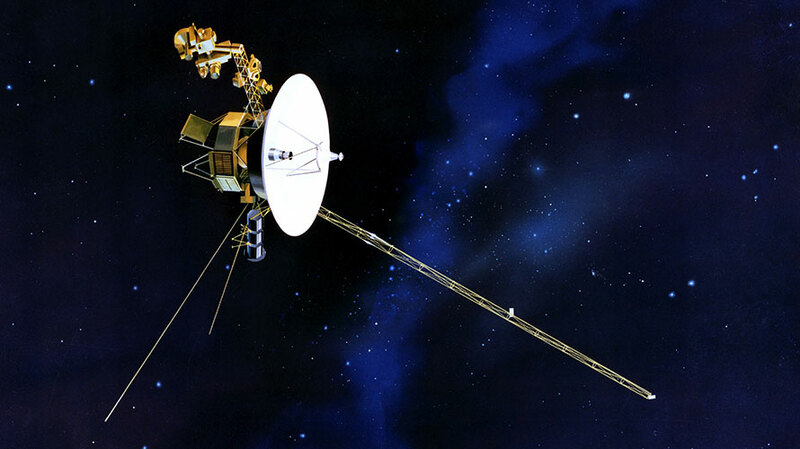 To honor this unprecedented achievement, the National Space Society (NSS) has announced that the Jet Propulsion Laboratory team that designed, built and operated the Voyager spacecraft has been named the 2018 recipient of NSS’ Space Pioneer Award for Science and Engineering. NSS Senior Operating Officer Bruce Pittman said, “The two Voyager spacecraft, launched over 40 years ago, sent back amazing pictures of the outer solar system, including Jupiter, Saturn, Uranus, Neptune, and the Saturnian moon Titan, bringing the majestic beauty of the outer solar system to people around the world.” Pittman continued, “The fact that the Voyager spacecraft are still operational and sending back useful data is a great testament to the talent of the hundreds of scientists and engineers who worked so hard to make this incredible mission possible.” This National Space Society award recognizes the JPL team for their amazing scientific and engineering achievements. The prestigious award will be presented to Dr. Michael Watkins, Director of the Jet Propulsion Laboratory, at the Society’s 37th annual International Space Development Conference (ISDC®), to be held at the Sheraton Gateway Los Angeles Hotel from May 24-27, 2018. NSS invites the public to come meet, interact and learn from Dr. Watkins and attend his award ceremony. Past recipients of the Space Pioneer Award include: Elon Musk, Ray Bradbury, Robert Bigelow, Apollo Astronaut Russell L. Schweickart, Dr. Michael Griffin, the Rosetta Mission Team, the Kepler-K2 Team, and the New Horizons Mission Team. The National Space Society was formed by a merger of the National Space Institute, founded in 1974 by NASA’s Wernher von Braun, father of the Saturn V rocket, and the L5 Society, founded in 1975, inspired by the pioneering work of Princeton physicist Gerard K. O’Neill.